August is Here, Do You Know What That Means? August means a lot of things, but there’s one really awesome thing that August brings and that’s football!! I realize that it’s only the NFL preseason games, but if you’re a fan, you’re a fan and any football will work. So not only does the NFL start their first preseason game August 7th, but our Ducks and Beavers play their first games at the end of the month. The excitement is about to begin! In the spirit of football, here are some interesting NFL facts for you in case Roy Smallwood asks questions during Quizzy Trivia on Wednesday nights at 6:30 p.m.
78% of NFL players are bankrupt just two years after finishing their careers! There’s a group of “Science Cheerleaders,” former NFL and NBA Cheerleaders who go around getting people interested in science!The longest field goal in NFL history was kicked by a man who had only half a foot! NFL cheerleaders only make $50 a game! 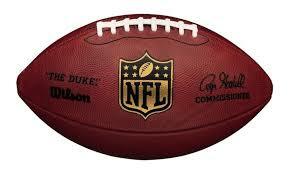 During a typical NFL game, the ball is only in play for 11 minutes! When former NFL quarterback Kurt Warner dines out with his family, he always anonymously picks up the bill for one other table. Deion Sanders is the only person to hit an MLB home run and NFL touchdown in the same week. He’s also the only person to play in the World Series and the Super Bowl. The American Sports industry is worth $422 billion and employs 1% of the population! For over a decade, players that were featured on the cover of the Madden NFL video games were ‘cursed’ with a serious injury or a dramatic reduction in performance during the following season. The ‘G’ on the Green Bay Packers helmet does not stand for ‘Green Bay’. The huddle formation used in football came from deaf football players. This entry was posted in Entertainment and tagged Greeley Avenue Bar and Grill, NFL, NFL schedule, Oregon Beavers, Oregon Ducks, Quizzy Trivia, Roy Smallwood, sports bar, sports fun facts, sports trivia, things to do in Portland by greeleyave. Bookmark the permalink.